TryPack [Freeware], Multi-Instrument Sample Bank from Sample Logic. Sample Logic has introduced a free 500 MB direct download kontakt sample library. 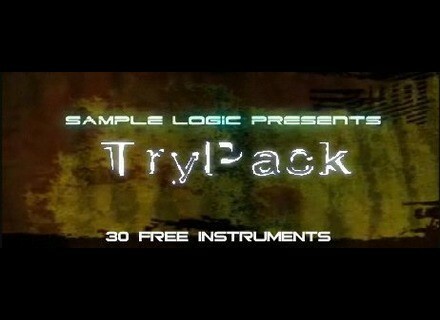 TryPack consists of a small collection of about 30 kontakt instruments from three products: AIR, Elements, and Synergy. The 30 instruments within TryPack deliver a range of sounds from "ambient soundscapes and cinematic impacts, to Hip Hop inspired vocals and worldly tempo-synced rhythms," according to Sample Logic. The TryPack content is formatted as a kontakt based sample library, which requires kontakt 2, or 3. Bela D Media Releases Retro Flute Bela D Media has released the Retro Flute samples collection. Iliadis Releases VH-1 Iliadis has announced the release of VH-1, a new free Virtual Drawbar Organ VST instrument plug-in for Windows.